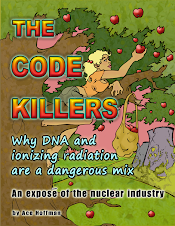 Ace Hoffman's Nuclear Failures Reports: Three independent groups of experts tell Edison/NRC: DON'T RESTART SAN ONOFRE UNIT 2! I'm frankly stunned by what has happened at San Onofre. I was a senior operator at Arkansas Nuclear One -- Unit 2 -- during the period of time their two steam generators were replaced circa 2000. ANO-2 is a very similar Combustion Engineering design (we used to share information with SONGS 2 and 3 routinely), and I had the opportunity to get involved with our own steam generator replacement project from a number of different discipline perspectives. Our generators were designed and built through Westinghouse--which subcontracted the actual manufacture through a company in spain (the last domestically manufactured nuclear steam generators were finished in the mid-90's). Flow induced vibration and other premature wear mechanisms were all significant issues during design and startup. I can not believe what an incredible nightmare this must be for the engineers and operators at SONGS. To have a tube rupture at 2 years in service, and 8 more burst under test conditions is simply beyond belief. Somewhere in the design and/or manufacture process an engineer has cost SoCal Edison billions.